This is the next crossover fanfic in my WhoSliders v1 fan-series featuring Doctor Who (the Fifth Doctor – played by Peter Davison in the classic BBC tv series) and the Sliders. Story (C) 2003-2016 Mr SciRev. My speculation is supported, now I have checked by a post by Jonathan Blum who said: I think that’s basically it, really. Though if she really was, as the climax of the story suggests, an offshoot of the statue rather than a person in her own right, that would suggest why she was a destruction-crazed loon. Validium. The living metal was forged by Rassilon, Omega and the Other during the Dark Days of Gallifrey, as a powerful defense mechanism for the whole planet. The one known as “the Other” helped create it with the knowledge of the Ancients. The Other, an Ancient, was born when time travel had not yet been invented by the Ancients. The Other embedded it with a control mechanism, so he could control it. It was during these times that the Dark Zone was built. The Other was not the Doctor, but the Doctor had some of the memories of the Other thanks to biodata and dna which he inherited. The Doctor did claim once to have been loomed from the house of Lungbarrow, after all. The Doctor, Remmy, Maggie, Tegan and Wade were in the Doctor’s TARDIS. Remmy felt sickened. They had left behind Max, now a Goa’uld, or was it an Osiran. They were not allowed to rescue him because the Doctor said the timeline would be affected and earth would be in danger. The Validium metal was aware of the Other and his connections to the Ancients, as well as the result of the metal’s influence. It resulted in the Dark Days of Chaos themselves. Fenric was already active at that time, having attempted to ascend to a higher state of existence, like the Celestines (the Gallifreyans from the Celestial Intervention Agency) and the Q (the latter from Universe-881 – Star Trek) themselves had done (No the Q are NOT omnipotent no matter what they may claim). He had failed in this, remaining trapped in-between states of existence. Yet he survived. A long time afterwards, during the doctor’s lifetime, the metal itself killed the woman the Doctor had married and his son. The Doctor was not able to go back in time to prevent this – one of the Laws of Time prohibited this – since it could cause paradoxes and all sorts of dangers besides putting you in danger with the High Council members themselves. Feeling himself responsible due to the vague memories he had, the Doctor escaped from Gallifrey with his granddaughter Susan, taking with him the Hand of Omega and the Validium which he expelled into space. The Doctor had piloted the TARDIS back to the underground SGC base on Earth in the present time. He felt tired after the last encounter they had and looked forward to some semblance of normality. The TARDIS materialised in the control room of the SGC, much to the surprise of the guards there. The Doctor opened the doors and looked out. He went out, walking cautiously until he was certain the guards had recognised him. It would not do good if he were to have returned to a point in time before SG-1 had met him, especially if those guards were trigger-happy. Jack O’Neill was discussing with General Hammond about some alien Kromagg refugees who had been found. They had left their home dimension and world to come to this one, in seek of asylum from the new Gou’ald-Kromagg leadership. Quinn was concerned that it might be a trap. Kromaggs were deceivers. They had stolen some sliding devices and had opened several wormholes to this dimension. Upon their arrival most had been intercepted by the US military and those who were not intercepted, soon died when they made contact with the Kromagg killing virus. The refugees were kept in quite a small holding area, free from the virus. However the evil influence of the metal Validium was due to the evil Fenric, so the Doctor was not responsible at all. It was subsequently captured by Fenric who extracted a portion of it making it into a humanoid form – one which would be called Lady Peinforte – but one which was essentially a statue. It was not for nothing that Peinforte was called ‘almost less than human’. The rest of the metal caused various destructions in its path in space and evil influences until it landed on Earth in 1638. The First Doctor had defeated Fenric in one of his first trips in the TARDIS. The Doctor began to suspect the influence of Fenric upon the Kromagg leadership. It was becoming fairly clear to him by now. Kromagg technology had utilised some inert metals derived from validium, in fact. The refugees explained how on their homeworld they had refused to be implanted with Goa’uld symbiotes. They were due to be implanted, but instead, they escaped and arrived on earth-777 instead. The Doctor was interested in the refugees and took concern about how they were being kept. It was really that bad. Small areas, unhygienic conditions – why did refugees have to be kept in this state? The remaining formless validium metal and the statue were lost after Fenric’s imprisonment. Fenric had them taken to earth. By 1638, Fenric had awakened the statue – who believed herself to be Lady Peinforte – placing it on Earth and the metal eventually crashed in the same year on earth. Fenric ironically made Peinforte believe that she had found the metal and that she had fashioned it into a statue of herself. It was about this time when the second Doctor found the metal on a mission for the Celestial Intervention Agency of the High Council of the Time Lords on Gallifrey. The latter, non-interventionists, would use the Doctor on missions they would not do themselves. “Why is the military keeping the refugees in such conditions?” The Doctor enquired with Hammond. The Doctor launched the statue – the Nemesis – into space where it would orbit on a path similar to most comets, and left the arrow with its owner. He gave the bow to King Charles I (who was the reigning monarch at the time) for safekeeping. The bow and the detailed coordinates worked out by a mathematician, were stolen from the castle by Fenric, in 1788, and eventually came into the possession of De Flores, a neo-nazi and Fenric’s other pawn. The Doctor determined that the Statue would return to Earth every 25 years and cause havoc, and it would finally crashland in 1988. He set his alarm clock to remind him when the time arrived. The Doctor, alone, arrived at Senator Kinsey’s home. As soon as he stepped close to his home, two men in black suits approached him. “How may I help you gentlemen?” the Doctor said, wittingly. Armed with guns, they were not joking. “What’s your business here?” they asked, roughly. “You don’t understand. It’s a matter of life or death. UNIT!” the Doctor attempted to mention the UNIT division as if that would help. “UNIT what?” they said. Clearly, they didn’t know of UNIT or didn’t care. “I’m a UNIT operative and I’m telling you this is serious and urgent – there’s no time for appointments.” he looked at them quite convincingly and stared at them. Fenric gave the information on the Nemesis and Peinforte to the Cybermen, ruthless cyborgs from a faraway star system, drawing them to earth in 1988. Was it Fenric’s influence here? The Doctor could almost sense it. Perhaps Kinsey was a pawn – or a wolf – in Fenric’s chess game. Or he might have been just a typical bumbling politician with an extra dose of paranoia. The two armed men had let him in, finally. The Doctor was waiting in a sitting room, flicking his fingers and thinking of the various possibilities when the Senator came in. “If it’s the chess game, it sure is.” the Doctor looked towards a chess set on a coffee table in the room and left. He would not convince Kinsey. Nothing short of full mind control would change the Senator’s mind. The Doctor decided to change his approach. 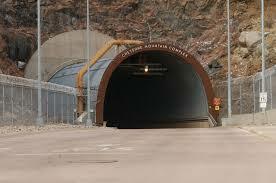 The Doctor went back to Cheyenne Mountain. Upon meeting SG-1 and his companions, suddenly the White Guardian appeared. “How can I face myself and how can I be breaking the laws of time in the future?” the Doctor asked. “They don’t exist for your future self, anymore. The time is when Magnus — Magneto — and Xavier were still friends. Leave now”. The White Guardian promptly disappeared. Dr Daniel Jackson expressed an interest in joining the Doctor on this adventure. General Hammond gave his permission for Daniel to take leave from SG-1. There was news of a couple of Kromagg refugees who had escaped. The Doctor insisted that the Sliders and the other companions not accompany him, the SGC complex was safer and there was work to do with preparing against a possible Kromagg-Goa’uld attack. And Fenric was involved at a deeper level than anyone could imagine. Continued in the next Fanfic Who Sliders 9 “DR DANIEL JACKSON, SLIDER aka Mutant Showdown”. The Tok’ra, the Ancients and Stargate SG-1 are the property of Stargate (II) Productions, Showtime/Viacom, MGM/UA,Double Secret Productions and Gekko Productions. This fanfic is for entertainment purposes only and no money exchanged hands. No copyright infringement is intended. The original characters, situations and story are the property of the author. This story may not be posted or printed elsewhere without the consent of the author. Theory on the Doctor and the Other: Rassilon, Omega and that OTHER Guy Yes, the (then current) set up (in the BBC Novels before Doctor Who was back on tv in 2005) of the Doctor, Fitz and Anji being “lost” in alternate timelines was set up in the novel “Time Zero”. I read “Reckless Engineering” and “Loving the Alien” back to back and they do seem to contradict each other. In the EDAs the Doctor says that there is only one true timeline and any alternates will clog up the Vortex and destroy the universe — that’s universe and not multiverse, by the way. In Loving the Alien the Doctor says that the multiverse is composed of an infinite number of alternate timelines lying side by side and everything works smoothly as long as no one attempts to cross from one timeline to another. When the walls between the universes are breached, things start to fall apart and the multiverse is threatened. It looks to me as if these two situations are fundamentally incompatible.